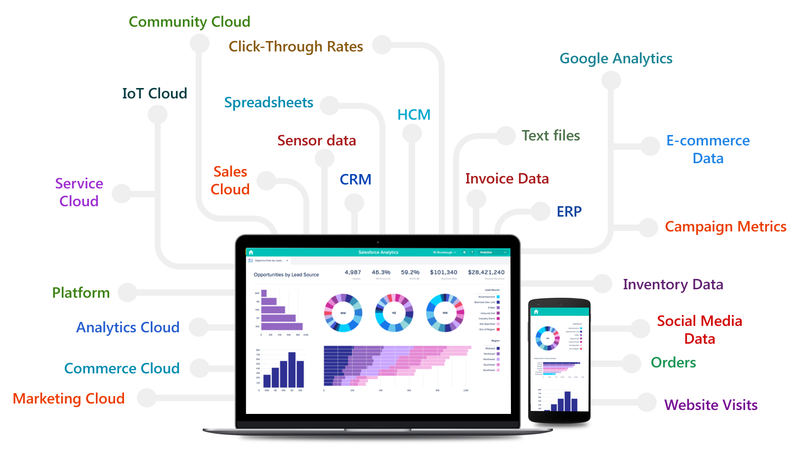 Millions and millions of data flow into your organization from varied sources and formats, depending on the size of your company. Be it a prospect’s hello, a new opportunity, a service request, click on your ad, a like or retweet on social media, an inventory record from your ERP. Congruent helps to put all these data to use, in the right way using Einstein Analytics to derive key strategic decisions at every level. 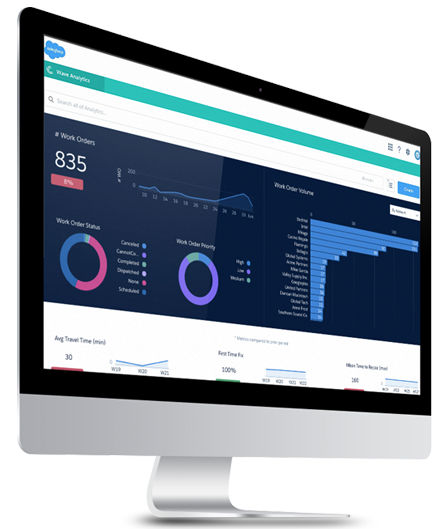 Analyze massive amounts of data residing in your Salesforce systems and also from other disparate third party sources by integrating them with Salesforce. Explore information from a multitude of data sources and derive key results for the betterment of your business. Extract useful information out of your existing raw data and convert them into Datasets to discover new potential opportunities, develop custom analytics processes and alert stakeholders before potential pitfalls could occur. Create role-centric customized dashboards that are unique and relevant to each and every user, thereby presenting the right information to the right people. Being a Salesforce certified partner, we are competent not just in analytics cloud but also across the entire Salesforce ecosystem comprising sales cloud, marketing cloud, service cloud & Community cloud, thereby ensuring you get the maximum out of your Salesforce investments.